I’ve always been skeptical of the advantages of mirrorless cameras — sure they’re small, but wouldn’t I miss a true optical viewfinder? Isn’t there noticeable shutter lag? And just how bad is the autofocus? After spending a few weeks reviewing Sony’s A6300 mirrorless camera (CA), I’ve had to rethink my answers to those questions. With all but a few small pet peeves, the A6300 has done a lot to convince me that mirrorless cameras are, in many ways, the way forward. 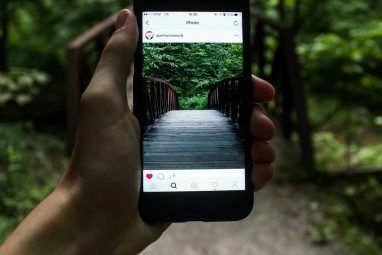 But they’ll always suit certain styles of photography more than others — particularly when it comes to candid shots, street photography, and conquering that self-conscious feeling you get with a digital SLR strapped to your face. It wasn’t long ago that you’d have to spend thousands of dollars on a digital Leica if you wanted SLR performance in a small package. Then came Olympus and Panasonic with their micro-four-thirds (m43) system, which offered interchangeable lenses and a better sensor than those typically found in similarly-sized cameras. This brought high-quality compact digital photography to the masses, but early cameras lacked in the autofocus and overall quality department compared to their chunkier SLR counterparts. Samsung had a crack with the NX mount, before Sony introduced its NEX cameras which used the brand new E-mount. It wasn’t long before Nikon, Pentax, Fujifilm and Canon all had mirrorless cameras on the market, each with their own new smaller mounts. 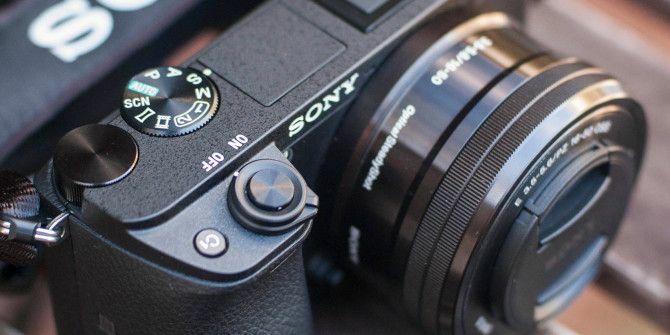 None have been as successful as Sony however, who are the first company to offer affordable full-frame (35mm equivalent) mirrorless cameras in the form of the FE mount. That’s why the main advantage of a mirrorless system is their size. Without the need for mirrors and viewfinders, cameras can be much smaller, while still providing great sensors and modular advantages like interchangeable lenses and accessories. Lenses can be mounted much closer to the camera, which means even the lenses themselves can be made smaller without sacrificing quality. This is especially true when you consider that most mirrorless cameras on the market at the moment don’t use a full frame sensor, and thus require a smaller field of view. With an SLR-quality sensor, high-quality glass, and recent leaps forward in autofocus performance, mirrorless cameras can often match their larger SLR counterparts in terms of raw performance. 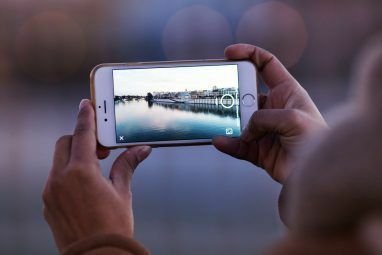 In some areas, mirrorless cameras surpass their SLR counterparts as is the case with Sony’s dedication to delivering excellent video capabilities on even its cheapest offerings — an area where some digital SLR manufacturers have fallen behind. Of course, it’s not all roses. Digital SLRs still account for the lion’s share of sales as they can be manufactured cheaply, they’re an established technology with mature interchangeable lens systems, and they still offer tangible benefits to pro-level photographers with very deep pockets. Mirrorless cameras haven’t been around for very long by comparison, and a dearth of lenses is certainly one of the biggest drawbacks. They’re also slow to startup compared to SLRs, most of which feature startup times of less than half a second. Battery life is another boon, as SLRs are more power efficient particularly when electronic viewfinders are accounted for. But the gap is closing with the latest advancements, and I’m talking about Sony’s A6300 which signals a very bright future indeed. I’ve been blown away by the exceptional image quality and incredible autofocus performance delivered in such a small package — don’t forget to check out my full review Mirrorless to Impress: Sony A6300 16-50mm Kit Review Mirrorless to Impress: Sony A6300 16-50mm Kit Review Following on from the massively popular A6000, comes the A6300, a small interchangeable mirrorless camera with an APS-C sensor, 4K video capabilities, and more features than most enthusiasts will ever need. Read More to get the full picture. Aside from the overall impressive performance, the A6300 felt like a breath of fresh air compared to shooting with one of my (admittedly old) larger SLRs. Above all else, a mirrorless camera will make you feel less conspicuous, especially if you’re used to shooting on something much larger. You simply don’t stand out as much by virtue of the smaller camera, and I’d even go as far to say that you seem less “threatening” to potential subjects. This is especially true if you can master shooting from the hip using a tilting LCD screen. For street photography, this matters. As someone who’s always been a bit shy when it comes to pointing a camera in people’s faces, a smaller and more discreet camera allowed me to get closer and push myself further than an SLR ever has. The amazing thing is that modern mirrorless cameras don’t require you to sacrifice image quality — I’ve been shooting 24.2 megapixel images in RAW format RAW Files: Why You Should Be Using Them for Your Photos RAW Files: Why You Should Be Using Them for Your Photos Almost every article featuring advice for people just learning photography stresses one thing: shoot RAW images. Here's why that's good advice. Read More and the excellent low-light performance and 425 points of autofocus on the A6300 allowed me to trust the camera completely. …for street photography you want the smallest, most compact, and inconspicuous camera (that you can always carry with you). I find that with other digital cameras, you end up never carrying them with you 24/7, simply because they are too big. This hits upon another important point: I’ve been picking up the Sony and throwing it in my bag purely because it’s small and light. This is not the same as shooting with an SLR — you either have to settle for a camera bag, or look like Flavor Flav if you go the neck strap route. Given the compact nature of a mirrorless camera, this sort of setup is about as compact as you want it to be. While standard kit lenses (think 16–50mm, 18–55mm, and so on) generally take up more pocket space than you might like, smaller “pancake” lenses like Sony’s 20mm f/2.8 prime are about as small as you can get Zoom Lenses vs. Prime Lenses: What's the Difference? Zoom Lenses vs. Prime Lenses: What's the Difference? After graduating from a kit lens, you’ll need to decide between a prime lens and a zoom lens. But what exactly is the difference? Which one is better for you? Read More , and the crop factor of 1.5x on an APS-C sensor Here's How Digital SLR Sensor Crop Affects Your Lenses Here's How Digital SLR Sensor Crop Affects Your Lenses Most of us own cameras with small cropped sensors, which artificially increase focal lengths on full frame lenses. Here's what you need to know. Read More (or 2x on an m43) delivers an effective focal length of 30mm. No mirror means less moving parts, which results in a quieter operation. This is great for candid photography, whether you’re shooting in the street or trying to remain invisible among friends or family. One improvement of Sony A6300 over the previous A6000 is the addition of silent shutter mode — though this isn’t exclusive to mirrorless cameras, and the feature has found its way into digital SLRs over the past few years. There are a few things to keep in mind if you’re thinking of ditching your traditional SLR. 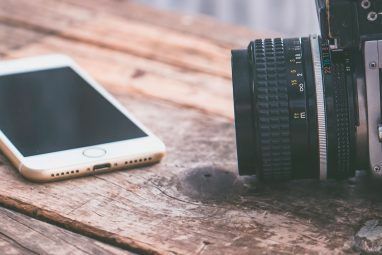 Many of these systems are young, and that means the number of lenses available is low compared to established photo systems from Nikon or Canon. You’re going to have to build up your lens collection 5 Common Photo Lenses and When to Use Them 5 Common Photo Lenses and When to Use Them Though there's no photographic rulebook when it comes to focal length and aperture, there are a few best practices to remember. Read More again, and much of the time you’ll be stuck with first party lenses which — while generally of good quality — are more expensive. You may also be wondering if that SLR you’ve had your eye on is actually worth the heft and extra money. At present, SLRs are still more capable cameras. They’ve got far more focal lengths to choose from (especially for sports and wildlife photographers), and they have massive buffers allowing you to shoot large bursts of RAW files (which will put even the latest mirrorless cameras to shame). They have better battery life, and many of them now come with full frame sensors. Sure you can get a full-frame Sony A7 series mirrorless, but you could snag a full frame Canon or Nikon for the same price. Considering the flexibility offered by an interchangeable system, Sony’s A6000 is cheaper and ultimately more versatile. The newer A6300 has a groundbreaking autofocus system and full silent shooting for around $1,150 with a kit lens. These are easily two of the best mirrorless cameras on the market in terms of value for money, raw performance, and overall size — so be sure to check them out if you’re planning your next move as a photographer 6 Things to Consider When Buying Your First DSLR Camera 6 Things to Consider When Buying Your First DSLR Camera With so many options out there, how do you choose the right DSLR for you? Every camera has so many specs and features that it's hard to tell them apart. Read More . Are you tempted to go mirrorless? Tell us why (or why not) in the comments below.